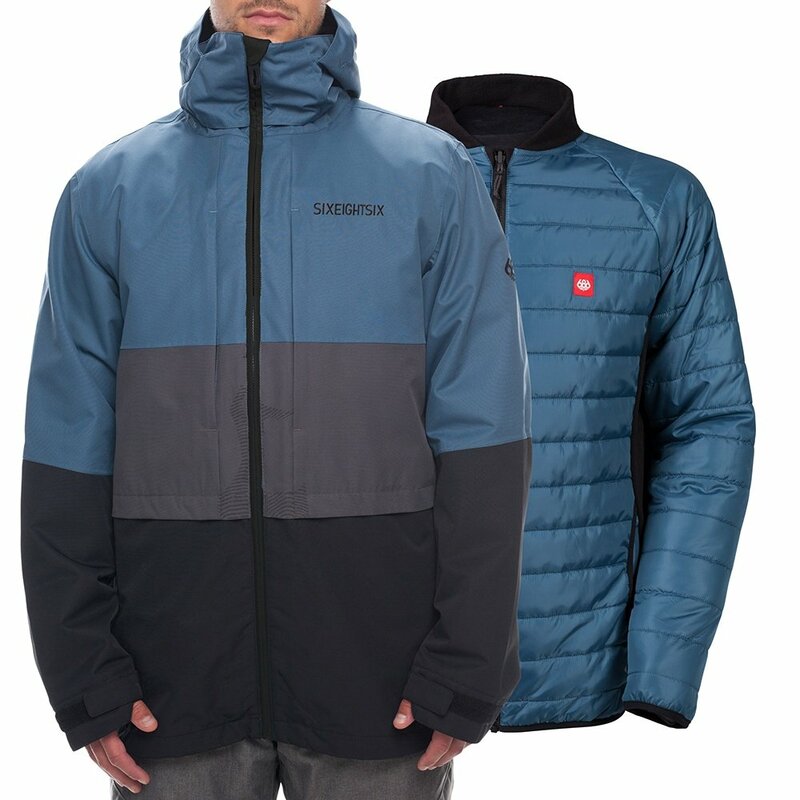 686 is no stranger to making popular snowboard jackets, and the 686 Smarty 3-in-1 Form Snowboard Jacket is one of their most popular. For starters, it has 20K waterproofing and breathability ratings, designed to keep you dry in the longest, heaviest, and wettest winter storms. On top of that, it has a removable jacket liner with an hefty 160g of insulation, in case those heavy and wet winter storms are freezing, too. Packing for snowboard trips is a breeze with the Smarty 3-in-1 Form Jacket since both the outer and inner layers can be worn solo as well. This jacket uses 686’s Smarty® technology, specifically designed so that the shell and removable liner work in unison or on their own. With the highest levels of waterproofing and breathability on the market, you’ll stay dry in extreme winter weather. Thanks to a loose fit and heavy-duty insulation, you can layer up for warmth in sub-zero temps.